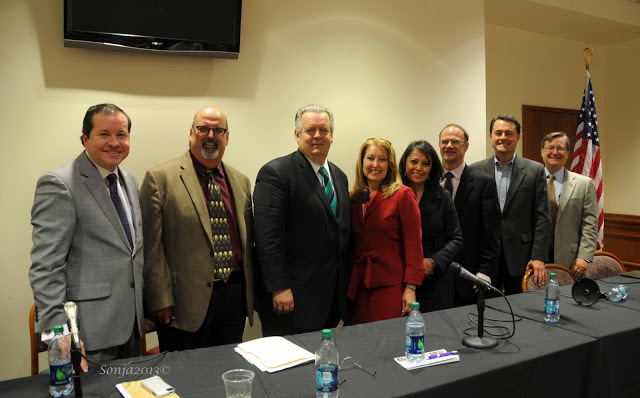 On Saturday, April 6, 2013 Una Nacion Under God – A Dialogue, hosted by VOCES Action, Conservatives in Action and the San Antonio Tea Party partnering with Agriculture Commissioner Todd Staples, brought a most needed Hispanic Outreach conversation to the state Capital in Austin, Texas. 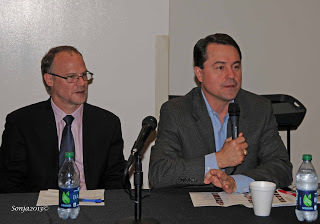 The purpose was to have an open discussion of why we lost the Hispanic Vote and its impact on our November 2012 election and how important it is that we win the Hispanic Vote for future generations in Texas and throughout the nation. Other issues were also discussed such as the Guest Worker Program, Dream Act, and Border Security. Other issues which not only affect the Hispanic Voter but all voters, included the economy, jobs and moral issues we are presently facing. What an excellent opportunity to not only listen to knowledgeable panelists in their field but to participate by asking questions. It was interesting to listen to each of the panelists as they not always agreed on each solution but were in total agreement that a guest worker permit be implemented to help ease tensions bringing the ‘illegal immigrant’ out of the shadows. Despite some harassing rhetoric from anti-immigration groups before the event, not one panelist expressed a belief in amnesty or open borders. These are my thoughts: what is apparent is that some Texans do have a difficult time discussing immigration reform. We must not let the Left lead this conversation. We have as much right to discuss and grow our Republican Party as the Left. We must lead the discussion, after all aren’t we the party of Lincoln? I felt inspired just working with Adryana Boyne, the National Director of VOCES Action. She is energetic, vivacious, and passionate. Without her commitment to helping Hispanics realize that they do have a choice in the political arena, this dialogue would not have been possible. 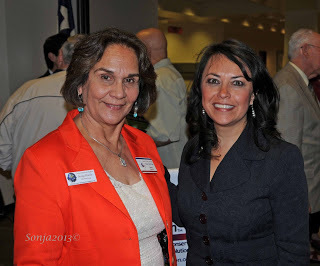 VOCES Action is a non-profit organization promoting conservative values which focuses on the Hispanic population. It takes a lot of dedication in working towards a winning solution and for a successful symposium such as Una Nacion Under God – A Dialogue. 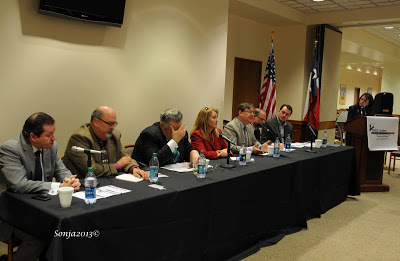 Those directly involved with the planning were Texas Agriculture Commissioner Staples, Jeff Judson, Jon Kaplan and Sharon Hall of the San Antonio Tea Party, me, and of course Adryana Boyne, who also served as the moderator. 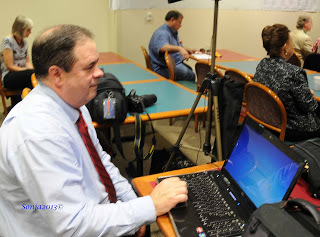 Bob Price from TexasGOPVote was the videographer and speaker on the second panel, and I assisted with the photography. The following are excerpts taken from each person that spoke in helping communicate the right message we should take to our clubs, groups, friends and family in order to better understand the Hispanics and how to win the Hispanic Vote. Every item that was discussed was important but for the sake of brevity, I chose to use excerpts. If any of you are interested in listening to the entire session of five hours, just let me know. Commissioner Staples and Dr. Land had a great round of discussion on the pathway to legalization vs the pathway to citizenship. HON QUICO CANSECO: The economy is suffering and it affects the Hispanic population. We are now looking at a 10% unemployment rate among Hispanics. HON DIANNE COSTA: If you look at how Hispanics get their information it’s through the media. We know that the media tends to be a little left. This is where they are getting their information that’s one of the reasons why we have to come out on the TV stations and debate so they (Hispanics) can hear the other side of the argument because typically they have been hearing only one side. It is our fault, we have been hesitant. We have to educate them. I think there is this misconception that Hispanics are just interested in immigration. They are worried about the economy as well. They are worried about the very same things that we are. DR. ALEX MENDES: We need to speak to the issues of justice and compassion. We must address these issues in the same way Lincoln and Martin Luther King did. My policies have nothing to do with my politics but with the bible. DR. RICHARD LAND: What is amnesty and what is not? Amnesty is what President Carter gave those young men who avoided the draft during Vietnam and went to Canada avoiding the war. A felony, breaking the law, up to five years in prison and a significant fine, he let them come home no fine, no probation, no penalty. “You all come on home, we have your back.” That is amnesty. I would have let them come home, but I would have required that they work for two years at minimum wage at veterans’ hospitals taking care of the guys that took their place. What is being proposed for those on undocumented status is that they come forward; agree to register, to under go a background check, to make certain that they have not committed a crime either in their country of origin or where they are now. Agree to pay a fine. They agree to pay any back taxes that are due, they agree to go on probationary status and begin learning to translate for citizenship. Part of the fine that they are being assessed is to be used to provide them with a temper proof identity card, probably a thumb print. A thumb print never changes and you can’t counterfeit it. They would need this in order to work and pay their taxes and to be law abiding citizens to invest in our country so in the future they would have an opportunity to become citizens. They would also agree to learn how to read, write and speak English. That is NOT amnesty and anyone who insists that it is, is being dishonest or they have a problem with the English language themselves. It is a fantasy to assume that we are going to deport millions of people or that we will deport someone who has been here for 20 years. Secondly, parts of our economy would rise to a halt if we deport all the undocumented workers. I don’t know how houses would be built in Texas. IVAN ANDARZA: I have to tell them, the undocumented worker; there is nothing I can do many times. Right now, we are in a recession and in four days the VISA’s are gone. We are not fulfilling the needs of our economy. Not enough VISA’s are available so we have to go to a lottery. Businesses can not plan because they do not know if they are going to get VISA’s for their workers. It is impossible to plan and so for businesses this is crippling. I have never had any immigrant ask me when do I get benefits, it is always when can I work? Dr. LAND: We need a high tech program, a worker guest program. We have to keep in mind that only 70% of the undocumented people here do not want to become residents. They want to work here, save money and go home and open their own small businesses. COMMISSIONER STAPLES: What we need are not 20TH Century solutions but 21st Century solutions. Our immigration laws are antiquated. Immigration is a complex problem and we need multi ways to get it fixed. We need to be pro legal immigration that needs to be the message that goes out. We welcome people who want to live the American Dream. We want this nation to be an upward mobility opportunity for success for those that want to be honest, if you want to work that is who we are. That needs to be our message and that needs to be our voice. Why are we communicating that citizenship is a prize for violating our laws. That is a troubling message we send. Not so much for those here today but what about the 20 million five years from now. Dr. LAND: Secure the workplace. You can’t secure the border unless you secure the workplace. You have to turn off the magnet. If I lived in Mexico and I weren’t part of the elite, I would come here too. An identity card and E Verify system first, penalty so that they will not hire undocumented workers. 90% of those coming across the border will STOP! The other 10% are coming here for other reasons. DR DARYL BOYNE: With E Verify you have to be very, very careful. It is the labor unions who do not want the guest worker permits. It is a threat to their power. CANSECO: Work VISAs and student VISAs are a pathway to citizenship no matter what. A pathway to citizenship is built into our immigration system. Glaring situation, we have an unwillingness to enforce laws that are in the books. Our VISA system is so horrible to understand and so unfair. We have got to realize that we have a broken system and the government is growing. Remember, those guys of 911 were here legitimately but they overstayed. Had we had a government system to put a stop to … ‘Hey your VISA is expired, you have to go back home.’ This is so simple to do….you know the IRS will follow you wherever you are. There is no willingness to find them…the same on border security. Dr. LAND: We must acknowledge a pathway to citizenship OR we will be accused of not welcoming the immigrant. COMMISSIONER STAPLES: We need to be welcoming. We do not want to reward people for violating our laws. Citizenship is a prized possession that we have. Dr. MENDES: It is not enough to say that we are not chasing votes, because we are. How about talking to a person who is in fear and undocumented? Our laws come from our values. How can we make laws without addressing our values? Every immigrant that has come has been dumped on. It is not a racial issue as much as an economic one. DR. BOYNE: We have come up with solutions in the past (for immigration) with Reagan, GW Bush, and John McCain but Obama has not done anything on this issue. Groups promoting Anti Immigration are: FAIR, NUMBERS USA, and CENTER FOR IMMIGRATION STUDIES. John Tanton has an organization US Inc. Their agenda is zero population, people are bad. We have Lincoln on our side. We are the heroes of coming up with solutions for all Americans. We have been slandered, we have been misused. We can not let these groups speak for us. Let us not let the Democrat Party label us as racists. MODERATOR added WOMAN ON THE WALL and STOP THE MAGNET to the Anti Immigration groups. 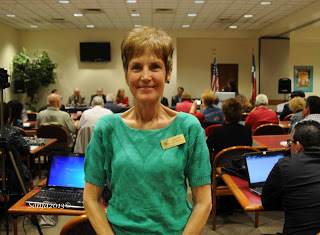 COMMISSIONER STAPLES: Washington Republicans are chasing votes I could not agree with you more but Texas Republicans have been leading for years on this issue. Regrettably there are racists today but I refuse to let them be the voice of the Republican Party. ANDARZA: Hispanics are up for grabs. They were there for us to take. Most voted for Obama than Romney because they had a fear that Romney was going to deport them. Dr. LAND: Immigration is a moral issue, a cultural issue. It is the right thing to do. I am a conservative before I am a Republican. I will be writing Part II to Una Nacion Under God – A Dialogue so that you know what the stakes are and how important it is that Republicans respond to welcoming the Hispanic Vote.